The second novel in Ali Smith’s seasonal cycle casts an eye over a post-truth era in a story rooted in history and memory. This is not a continuation of Autumn, at least not in terms of plots and characters, but the books converse vociferously as they revise each other’s signs and symbols … Protest is one of the novel’s great subjects. CND songs are its tune as much as the old Christmas numbers. It celebrates those who have thought in terms of society rather than self, who have had nightmares (of nuclear winter, of silent spring) and taken them seriously in every living daylight hour … Little is resolved at the end, but the novel works through correspondences that jump across bounds and make accord between unlike things. Leaping, laughing, sad, generous and winter-wise, this is a thing of grace. 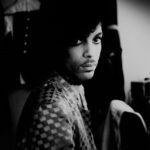 What Smith has achieved in her cycle so far is exactly what we need artists to do in disorienting times: make sense of events, console us, show us how we got here, help us believe that we will find our way through. Often, that’s what we lean on the classics for, finding answers in metaphor. 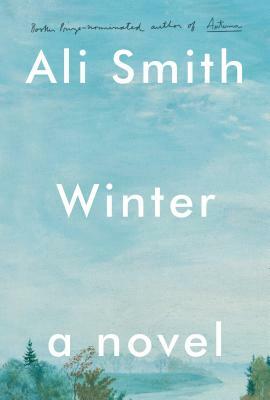 But in Winter, as in Autumn, Smith gives us a potent, necessary source of sustenance that speaks directly to our age … Told with warm, sometimes grim humor in a come-closer voice, Winter invites us into a microcosm of a fractured, coldly furious, inward-gazing country whose neighborly priorities have shifted since the World War II generation. Ali Smith is flat-out brilliant, and she's on fire these days ... Winter follows on the heels of Autumn — naturally. But aside from an exquisitely subtle link, the two books share concerns rather than characters or storylines and can be read separately. Their point of connection, so understated it's easy to miss, demonstrates yet again Smith's skill at revealing surprising relationships between seemingly disparate narrative threads ... You can trust Smith to snow us once again with her uncanny ability to combine brainy playfulness with depth, topicality with timelessness, and complexity with accessibility while delivering an impassioned defense of human decency and art. What did you think of Winter?